The new fieldlab for advanced cognitive robotics RoboHouse is now officially open. During the well-attended opening ceremony on Thursday, RoboHouse got the fieldlab status from Jac Gofers (Smart Industry). RoboHouse is based on TU Delft Campus, next to the RoboValley headquarters. 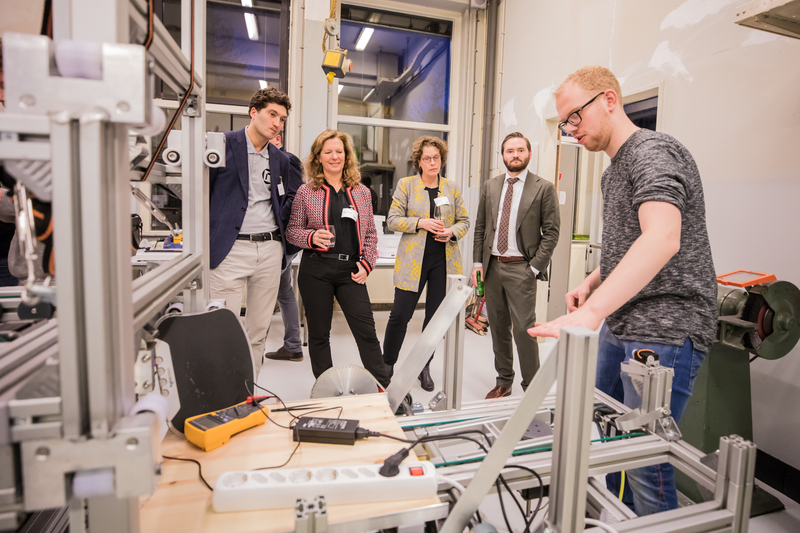 Over the last year, the building of the former faculty of biotechnology was renovated and transformed into a state-of-art industrial setting where companies and organisations can discover and develop new robotics applications. “If you see opportunity in robots, but you don’t know how, RoboHouse is the place to be”, general manager Jaimy Siebel explained. The new smart industry fieldlab reaches out to developers and students as well. They can become a member as and use all facilities. RoboHouse offers a variety of courses as well, for example about programming a robot arm or linking up a sensor to a neural network. “There aren’t many places where you can learn this in such a short period of time”, Siebel says. André Boer, chairman of Holland Instrumentation said that having this kind of fieldlab is ‘essential’ for manufacturing companies in the region. RoboHouse is part of SMITZH, a network of smart industry fieldlabs in the province of South-Holland. 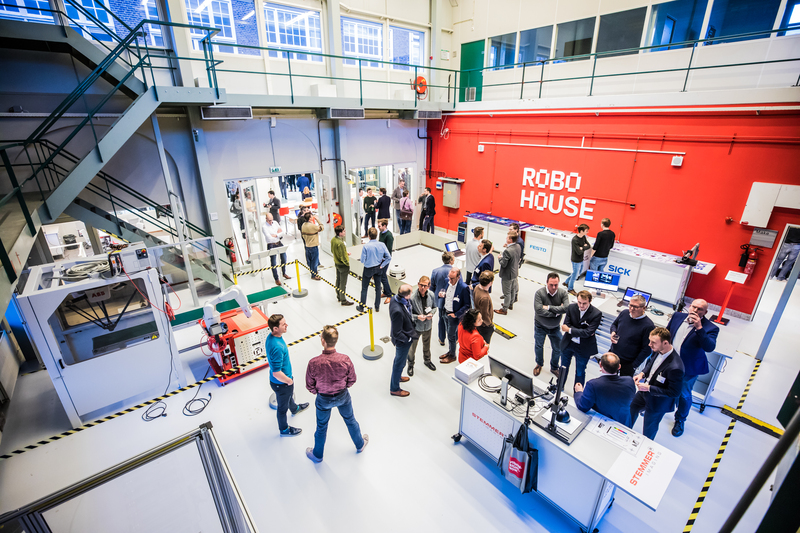 RoboHouse is an initiative of Delft University of Technology, TNO, RoboValley, Innovation Quarter, Festo and ABB.